The court giveth, and the court taketh away. In Sefton v Sefton (2015) 236 CA4th 159, the court of appeal reaffirmed its earlier decision that the former common law presumption in favor of nonexclusive powers would continue to apply to the exercise of powers that was created before the effective date of retroactive legislation that made the presumption inapplicable. The court held that the power holder could not exclude an eligible appointee of trust property. Under the common law rule against perpetuities, a trust is void ab initio unless it is certain to vest at the latest within 21 years after the end of lives in being at the creation of the trust. 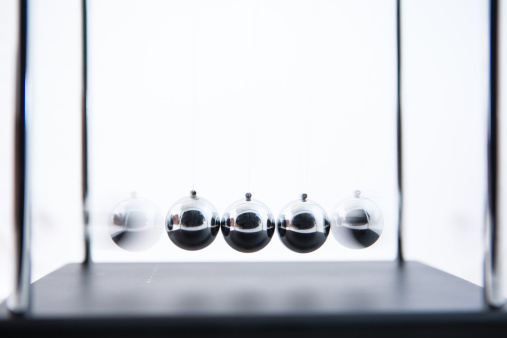 The Uniform Statutory Rule Against Perpetuities (USRAP) (Prob C §§21200–21231), enacted in 1991, provides an alternative 90-year wait-and-see period to determine whether a trust interest vested within the perpetuities period. Prob C §21201. USRAP makes clear that testators may not use a “two-pronged” saving clause to take advantage of the longer of the traditional period or the 90-year wait-and-see period. Prob C §21209. This section applies only to instruments executed on or after January 1, 1992. However, the 90-year wait-and-see period generally applies to nonvested property interests and unexercised powers of appointment regardless of whether they were created before, on, or after January 1, 1992. Prob C §21202. Here’s the problem: Suppose a trust interest created before that date is uncertain to vest within the perpetuities period. Should the court follow the Sefton principle and apply the former common law rule, thereby nullifying the trust interest? For example, the testator’s will creates a trust “for the benefit of my father’s issue to be distributed to his then-living descendants on the death of the last surviving child of my father alive at his death.” The testator dies while the father is alive. There is a chance that the father’s last surviving child was not alive on the testator’s death. Therefore, the trust interest isn’t certain to vest within 21 years after the end of lives in being on the testator’s death. The father administers the trust for a while and then dies. (The testator’s mother is not alive.) The testator’s brother and sister claim the trust property by intestate succession, asserting that the trust interest violates the common law rule against perpetuities. Under Sefton, the court would need to determine whether the testator’s presumed knowledge of the rule against perpetuities means he must have intended the trust interest to be void if it was not certain to vest. Under the statute, we would wait for 90 years and see if it vested. But there’s another possibility suggested by the supreme court decision in Estate of Duke (2015) 61 C4th 871. The court held that extrinsic evidence may be used to reform an unambiguous will. The testator’s will gave his estate to named charities “should my wife and I die at the same moment” and the court held that the charities may be entitled to the estate even though his wife died years earlier. Under Duke, the court in the above example would need to determine whether there is clear and convincing evidence that the testator made a mistake of expression. If the answer is yes, the court could then reform the will to provide for the trust to be distributed “on the death of the last surviving child of my father alive at my death” which would eliminate the perpetuities problem. Of course, the problem would not arise if courts would give effect to retroactive legislation as intended. Get a detailed discussion of the rule against perpetuities in CEB’s California Will Drafting, chap 34. For a quick sketch with a sample form of perpetuities saving clause, check out CEB’s Drafting California Revocable Trusts §§19.10-19.11. 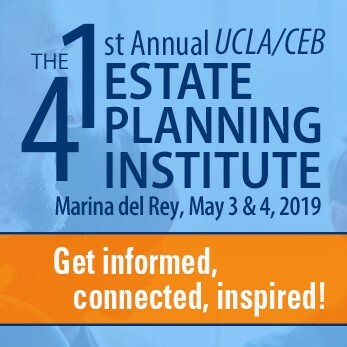 Find more on the Sefton and Duke decisions in CEB’s Estate Planning & California Probate Reporter for June and August 2015. ← Can a Tenant Be Evicted for Using Medical Marijuana?